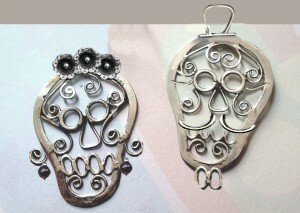 Home / Day of the dead / Day of the dead filigree skull earrings. 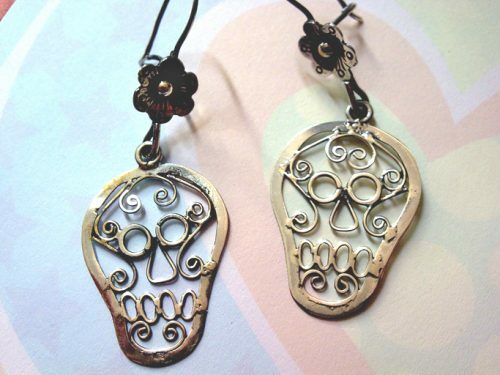 One earring has a girl with flowers on her head, the other is a guy with a hat. He can have a mustache and she can have a bow or earrings. 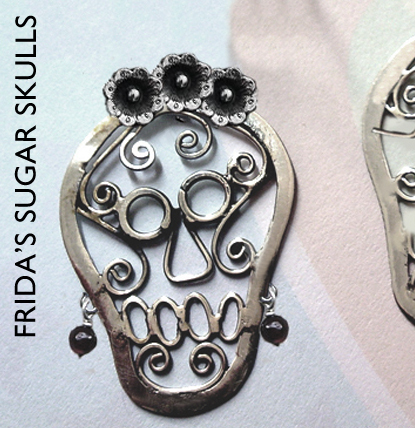 Let us know what you prefer! 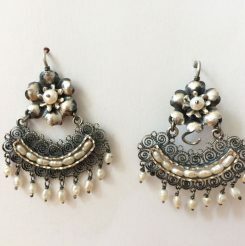 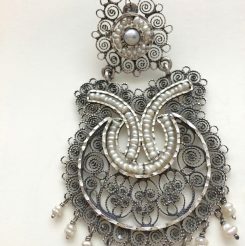 Amazing large filigree earrings muneca style. 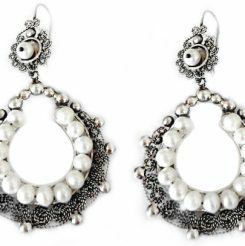 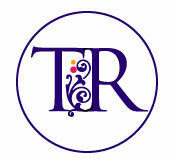 These are beautifully hand crafted and they have authentic fresh water pearls. 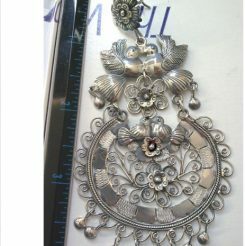 Filigree from South Mexico is one of the most unique and beautiful of all the country. There are 8 cm -3.14″ top to bottom.